A two-dimensional reality currently exists for public and private global debt capital markets, but with the emergence of blockchain technology the economic distinction between these will begin to blur. To aid in the transition, Inveniam has created a platform for market professionals to tokenize fixed income instruments built for listing and trading on global exchanges and Alternative Trading Systems (ATS). Powered by the latest blockchain technologies, our infrastructure enables market participants to meet the global demand for private fixed income instruments. We do this by “tokenizing” said instruments, transforming them into cryptographic assets. These tokens are secure, transparent, immutable, and efficient—and they will become the most critical element to making private fixed income transactions more accessible. Private market transactions are generally far more complex than public market exchanges. These bilateral debt transactions are commonly a result of direct two-party negotiations, wherein the issuer interfaces with the lender, typically a private financial institution. These transactions can also involve multiple buyers, making the process even more complex. Although public securities are more highly regulated, private markets are nonetheless constrained by a regime of rules and practices—particularly around identity and AML and exempt transaction compliance. As a result, private markets are characterized by highly bureaucratic processes with relatively poor intermediation. For this reason, private debt transactions have traditionally occurred on closed platforms that cater primarily to qualified institutional buyers. This narrow perspective isolates potential investors. Public markets, on the other hand, efficiently connect issuers and investors around the world. Unlike those of private markets, public market transactions facilitate aggregative, far-reaching distribution. This allows issuers of all sizes to draw on international pools of capital. Thanks to public markets, which bring together market participants in one place, a range of actors can compete to borrow investors’ funds, leading to a more efficient outcome. 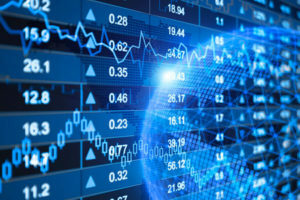 Public markets offer an efficient, straightforward, and secure mechanism through which debt issuers and debt investors can connect. However, public debt issuances are often beyond the reach of small to medium-sized companies. The higher regulatory requirements for public debt issuances represent a significant hurdle for smaller companies, thereby limiting them to private markets and subjecting them to the inefficiencies that accompany private debt issuances. By offering a tokenized debt solution, Inveniam seeks to bring the efficiency gains of the public market to the private market in terms of more efficiently priced debt. We believe that a new marketplace approach can transform the present private debt standard, with particular regard to pricing and liquidity. This pricing will be related to risk versus premiums needed for illiquidity and issue size. Inveniam’s tokenized debt will facilitate broader investment in private debt as well as greater transparency with regard to offerings, pricing, and ownership. This tokenized debt marketplace will expand the fixed income market by providing fully-integrated platforms and markets that connects middle market debt issuers to professional service firms, advisors, and qualified investors. The Inveniam platform will give rise to more liquid, efficient private debt trading, fundamentally altering the way the world conceives of private debt markets. To learn more about our innovative vision for bridging the gap between public and private debt markets, you can read our complete white paper here: Introducing the Tokenization of the Global Debt Markets.